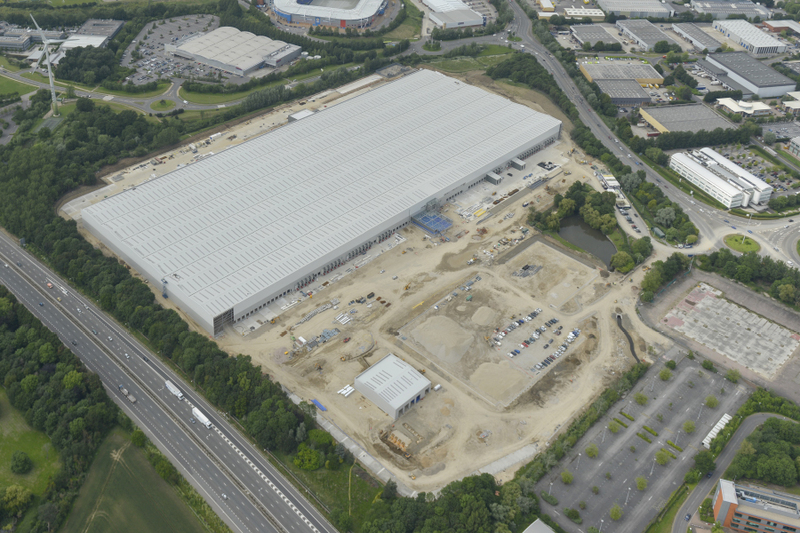 The Project involved the design and construction of a new 900,000 sq ft Regional Distribution Centre with associated Vehicle Maintenance Unit for Tesco Stores Ltd. The site was previously occupied by the largest Brewery in Britain and the project was taken through pre-planning during the demolition phase of the existing building. The new building was designed as a steel framed multi bay portal frame, with extensive concrete hardstanding areas for vehicle deliveries, and a 650 space car park. The main frames of the building were supported on piled foundations, carefully set out to minimise conflicts with the piles and foundations of the former brewery. The building achieved a BREEAM “Excellent” rating. Fairhurst provided a one stop service on all civil and structural engineering matters and were heavily involved in preparation of the technical reports required to accompany the Environmental Impact Assessment as necessary to gain Planning Consent. The Fairhurst team liaised extensively with the Client’s appointed Planning Consultant, Local Planning Authority, Environment Agency and other regulatory bodies throughout this process to expedite a Consent within the required time frame. The build programme had to be achieved in less than 36 weeks, which was a considerable challenge due to the shear scale of the development and the need to overlap the construction procurement process with the Planning Process, including discharge of conditions which materially affected the design.